At this year’s ADASS spring seminar, incoming president Glen Garrod told delegates a pinch of “creative disruption” was needed to find solutions to the problems facing adult social care. In his speech, Garrod made particular reference to opportunities surrounding digital technology, arguing that new approaches towards the delivery of care could help people lead “more independent lives”. Hampshire and Oxfordshire councils have embraced the potential of new technologies. Within the last year, both councils have worked with Amazon to explore how its voice-controlled intelligent personal assistant, Alexa, can deliver more personalised care to service users and relieve pressure on a stretched social care workforce. Being home to one of the most expensive cities in the country, director of adults’ social care at Oxfordshire council Kate Terroni says the national challenge of recruiting and retaining social care staff is only too real in her county. She says the local authority is faced with the challenge of finding and keeping staff with the right skill set to support a population with increasingly complex needs. Reducing demand on the workforce has been a core motivation behind Oxfordshire’s exploration into the potential uses of assistive technology, which Terroni hopes could “supplement and support” staff in the future. This year, the council used its innovation fund to finance an Alexa trial, specifically focusing on how the voice assistant, housed in an Amazon Echo device (a voice-activated smart speaker), could reshape the way social services provide daytime support to people. Terroni says the council was especially keen to see how Alexa could support older people and help to connect them with their communities. The council is currently working with a local care provider, Day and Nightcare Assistance (DANA), to see how the technology can reduce loneliness and isolation. So far, Alexa has performed tasks for service users such as setting reminders, providing news updates and playing audiobooks, helping to give service users a greater sense of independence. At the halfway stage of the trial, Terroni says Alexa has had a greater effect than anyone at the council expected. As an example, Terroni spoke about the success Catherine Jefferies, a blind service user, has had with Alexa. As one of ten people taking part in the trial, Jeffries uses Alexa on a daily basis to keep her mind active, asking it to play her favourite music and recall historical facts. In addition, she is able to keep in touch with her brother, who lives overseas, with free audio-video calls supported by the Echo. When she wants to check in with the social care team, Jeffries can ask Alexa to connect her with the DANA Care offices. This is mutually beneficial as the care team is able to see Jeffries and check she is safe and well. “There is a whole wealth of stuff it’s given [Jeffries] around interaction and mental stimulation. She says it’s helped her to keep the grey matter moving. But it’s also done some fantastic stuff around connectivity between her and her care workers, and her family,” Terroni says. Last August, Hampshire council was awarded funding from the Local Government Association (LGA) and NHS Digital to run an assistive technology trial. 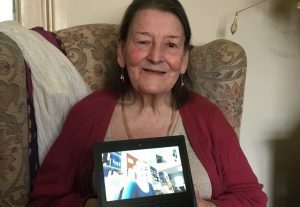 With support from PA Consulting, Hampshire’s developmental partner of six years, the council arranged for Amazon to provide Alexa technology to a group of 50 people with social care needs. In particular, it wanted to explore the ways that Alexa could assist those with disabilities or illnesses to live more independently. 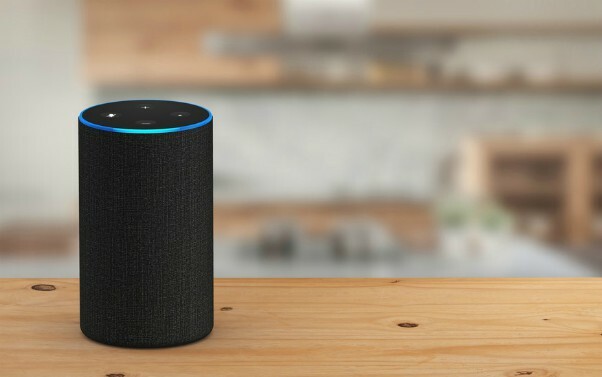 With service users employing Alexa to set reminders and perform other daily tasks, director of adults’ health and care Graham Allen says the council hoped the technology would reduce the need for traditional care services, such as home visits. He explains: “Our inspiration came from the growing use of technology in our day-to-day lives. We wanted to challenge the idea that the benefits of technology could not be harnessed if a person had care needs. Having completed the trial in July 2018, the council is in the process of collecting feedback from service users, which it will send to the LGA. Allen says he and his team have been encouraged by the initial results. “Early findings indicate very positive outcomes were experienced, particularly by younger partially sighted, physically disabled or socially-isolated people or those with sensory loss [who used the device] to undertake everyday tasks independently, such as asking Alexa for information relating to the weather forecast, latest news, or to switch on digital radio or play an audiobook. Allen says this is not the first time Hampshire has used assistive technology. The PA Consulting-led Argenti partnership has included the roll-out of a telecare service which uses alarms and sensors, fitted into people’s homes, to help relatives and staff check the person is safe in their home. So far, using technology as an alternative to more costly options like home care has secured the council £7 million in net savings. Despite this, Allen says the cost saving element of using technology is just “one component” in a strategy designed to ensure our social care service is sustainable. “We strive to ensure that the solution, whether that is a conventional device, an Amazon Echo or something entirely non-technical, is the best and safest way to address the service user’s risk and deliver the desired outcome. Acknowledging technology’s potential to reduce demand on care services, Allen says the duties performed by frontline staff will always be important. “We have been able to demonstrate to staff that while technology cannot replace physical care, it can do a range of other things that service users want and value. Any investment that enhances the quality of life for the service user and frees up workforce resources “is money well spent”, says Terroni. In addition to proving popular with service users, she says social workers and occupational therapists have been “delighted” with the way in which Alexa has enhanced social care services. She adds feedback from the care home agency they have worked with on the trial has also been very positive. With the introduction of the new EU General Data Protection Regulations (GDPR) in May, companies or bodies using devices which store personal information must consider how people’s data is transferred, shared and stored. Terroni explains where Oxfordshire council stands on using Alexa, which stores audio recordings. “This is all about people’s capacities to make decisions. The people we are working with are those who have the mental capacity to make an informed decision about having an Alexa in their home. Therefore, it’s very much the same as if I or you should choose to get an Alexa. If the trial proves successful, Terroni says Oxfordshire council would look to “hit the ground running”, possibly installing the technology in more peoples’ home by 2019. However, she says the council would need to decide whether it implemented the Alexa on a geographical basis or via care agencies. Are you underpaying your social workers and team managers? Literally all the things described here, “setting reminders, providing news updates and playing audiobooks”, are available out-of-the-box. You can buy 10 Echos (Alexa’s hardware) for about £700, or 1% of the quoted budget. It’s great that 10 people got Alexa, but why did this cost £75,000?